Launching Offer Sale!! Just For $24 Only!!! 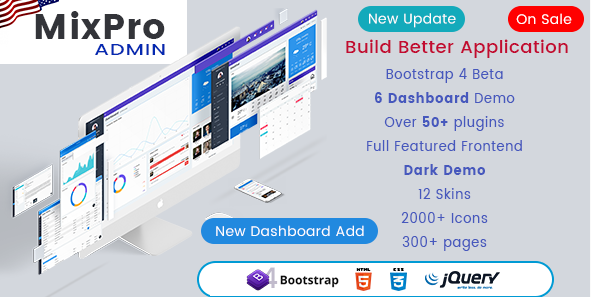 All New Bonito PRO Bootstrap 4.1 Admin Dashboard Templates. You can use these templates for your application on any platforms. 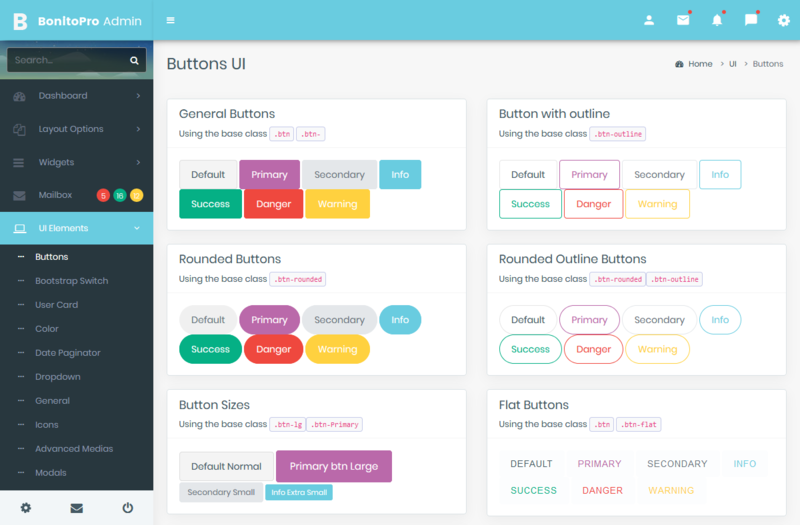 All New Bonito PRO Bootstrap 4.1 Admin Dashboard Templates.  You can use these admin templates for your application on any platforms. 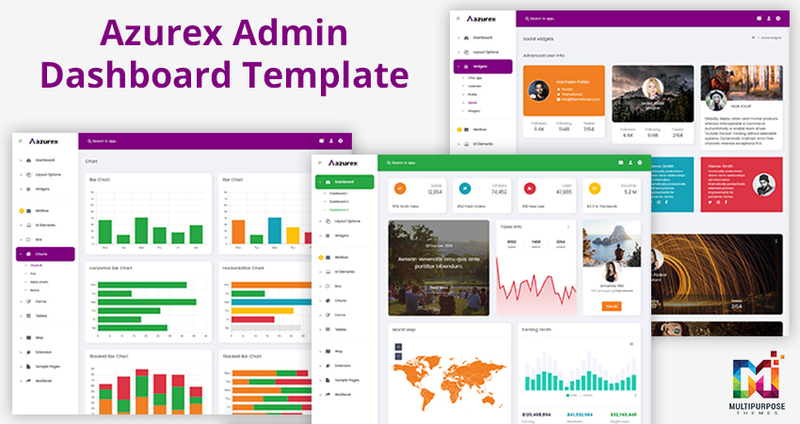 Bonito Pro – Admin Templates – Impressive Dashboard is an eye-catching design for customers to stay a long time on your website. 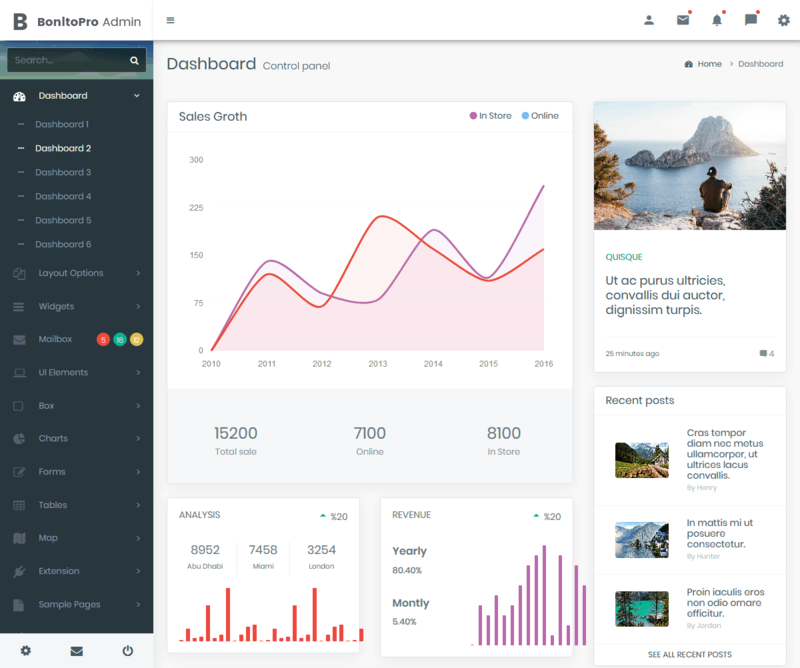 Dashboard Control Panel comes with Top Advertisers, Visits, Traffic Sources, To Do List and much more. 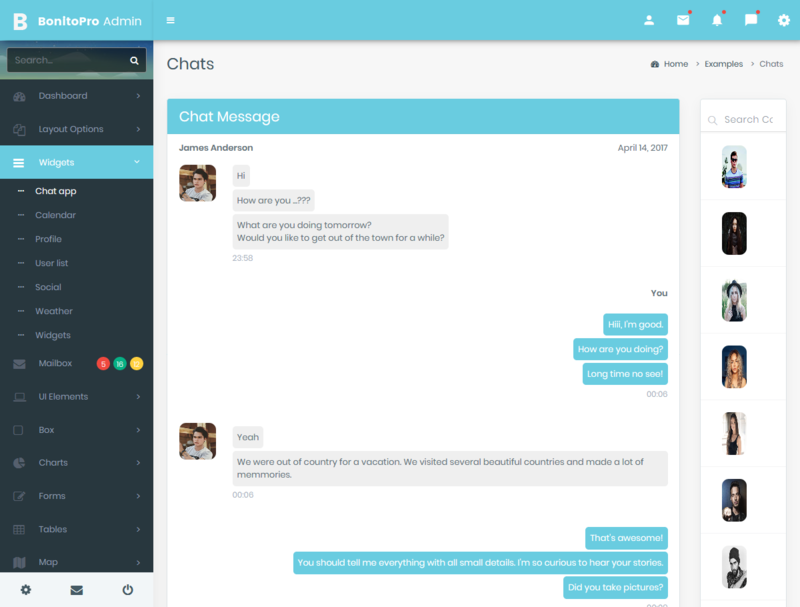 Bonito Pro – Bootstrap Admin Templates provides a Chat App. 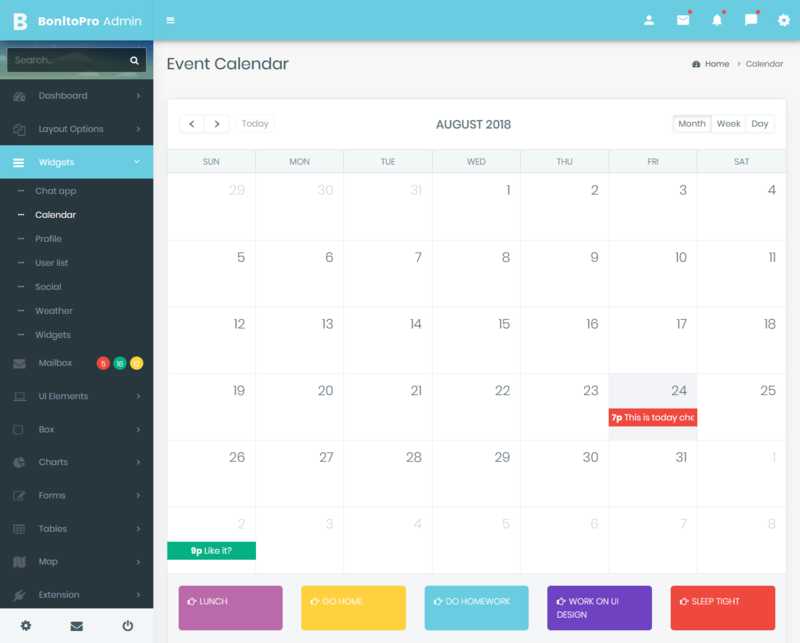 Bonito Pro – Premium Admin Template comes with Calendar App. 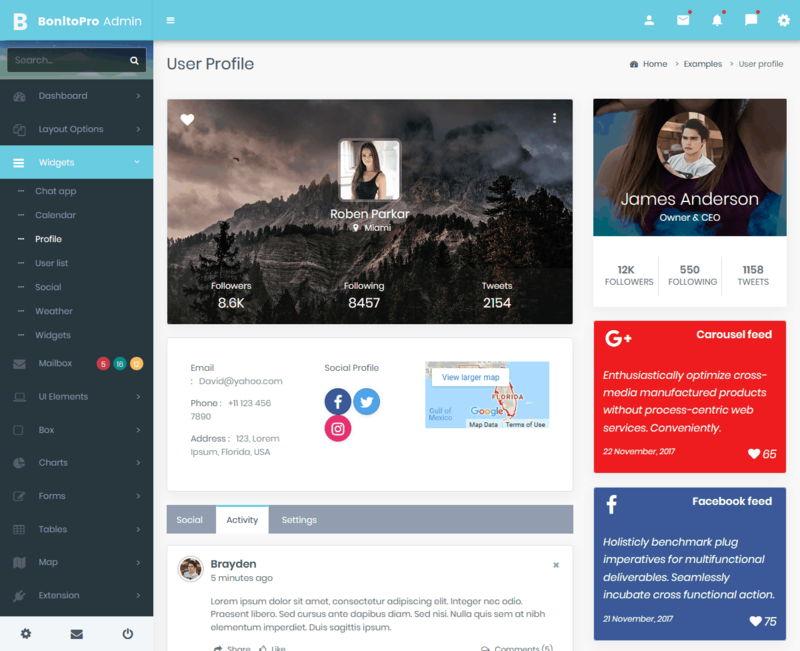 Bonito Pro – Responsive Admin Template comes with User Profile. 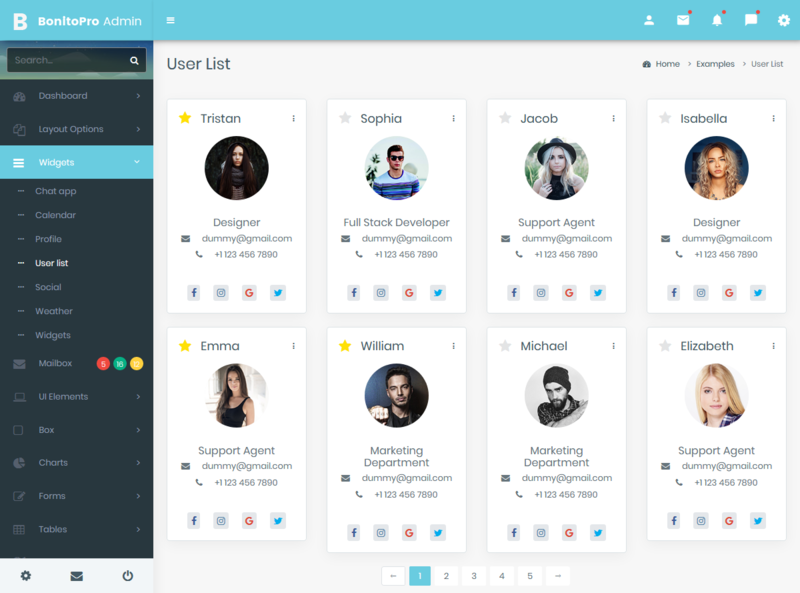 Bonito Pro – Premium Admin Template provides Userlist. 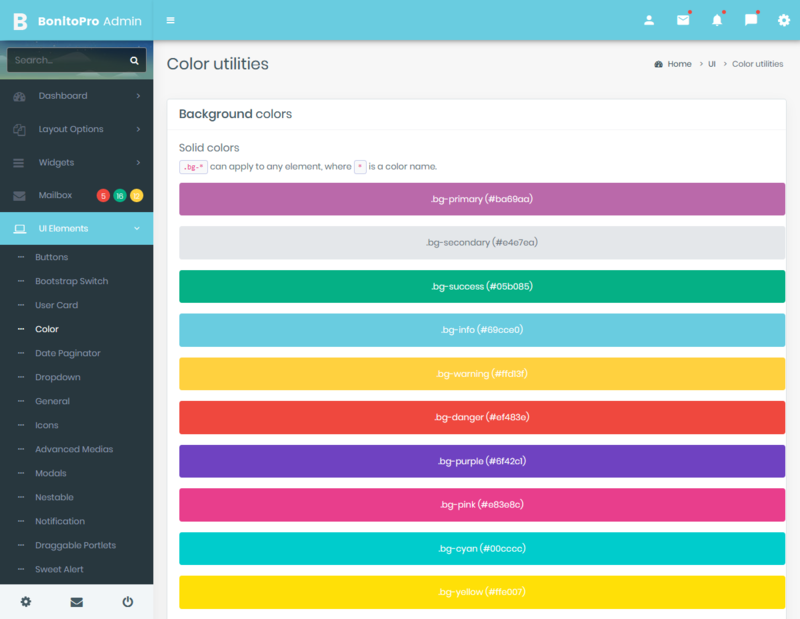 Bonito Pro – Premium Admin Template comes with Color Utilities such as Background colors, Border colors, Text colors, Hover colors. 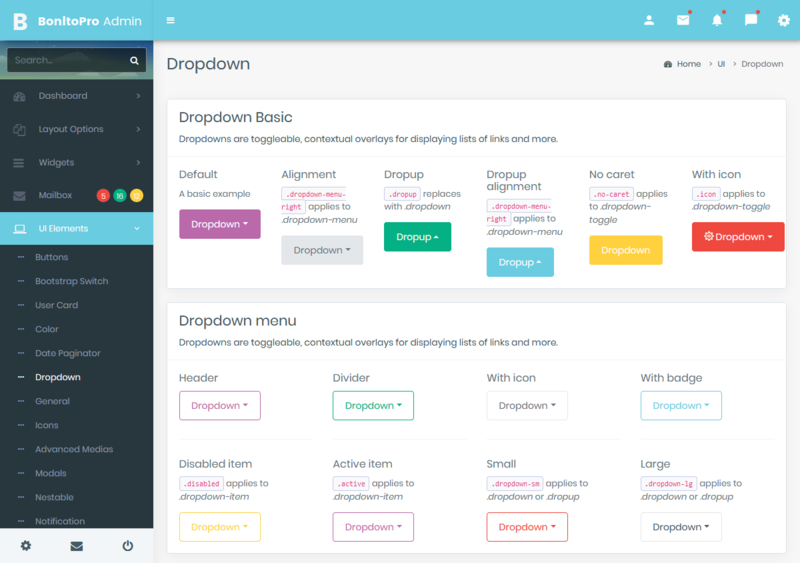 Bonito Pro – Bootstrap 4 Admin Templates comes with Dropdown. 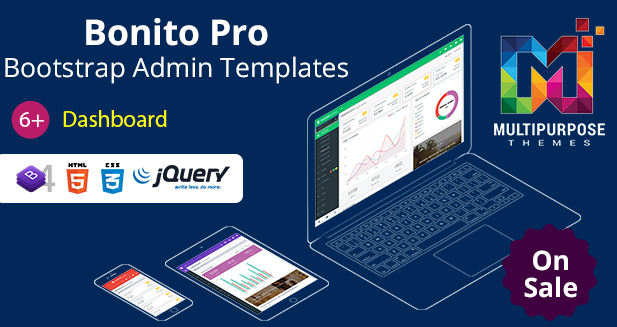 Bonito Pro – Admin Templates comes with Range Sliders and Carousel that includes Image Slider, Image Slider thumbnails. 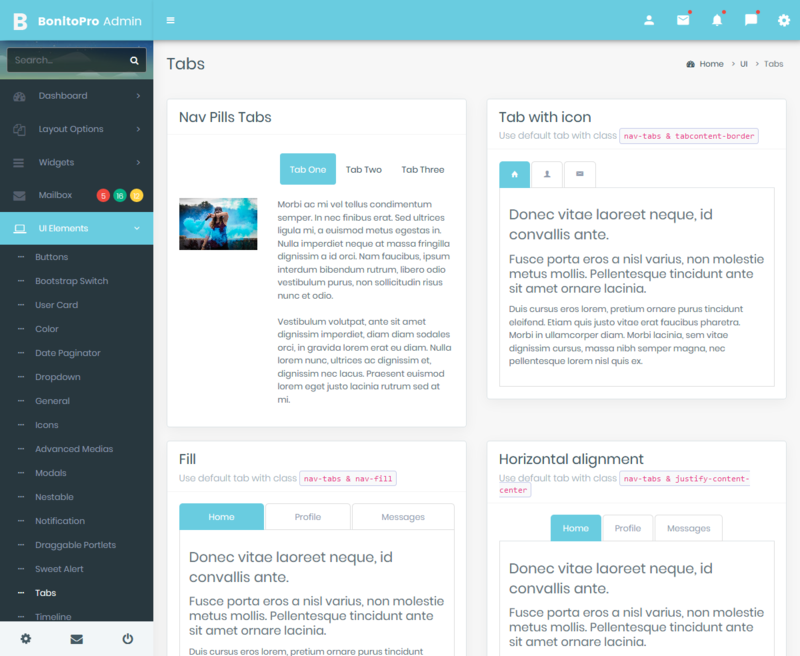 Bonito Pro Admin Templates comes with Tabs. 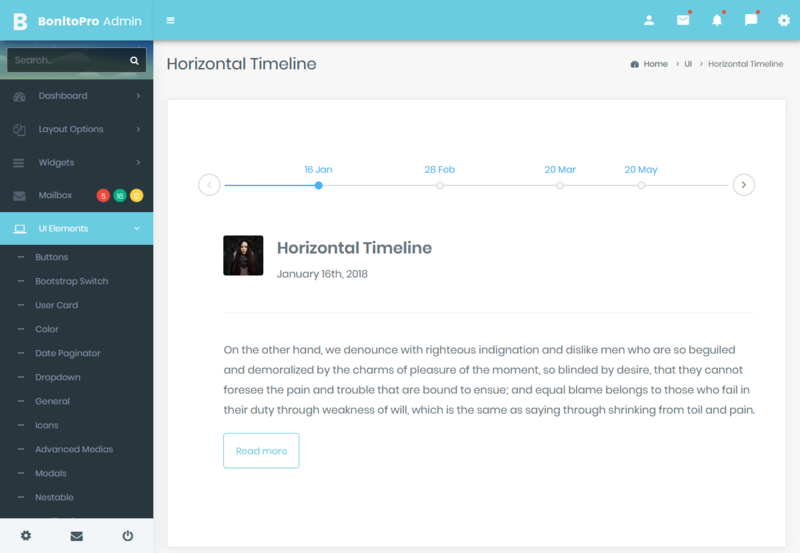 Bonito Pro – Admin Templates comes with Timeline. 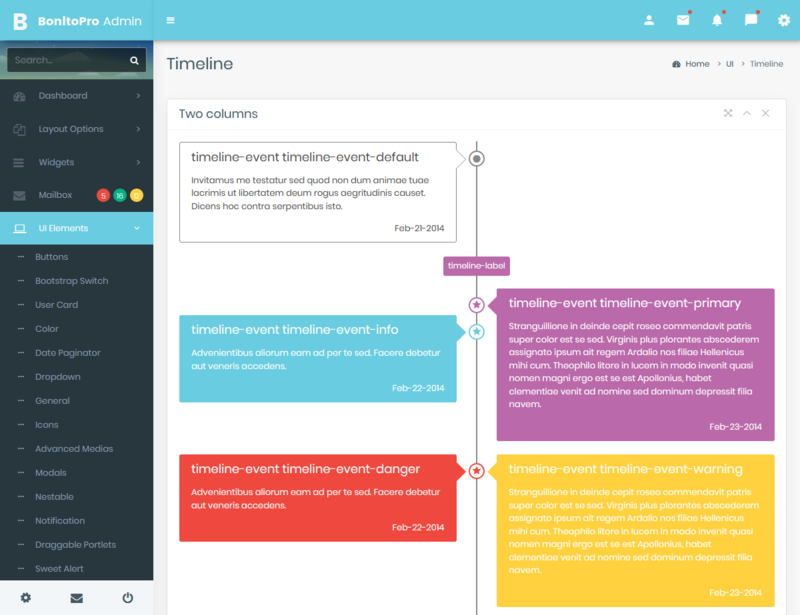 Bonito Pro Admin Templates comes with Horizontal Timeline.